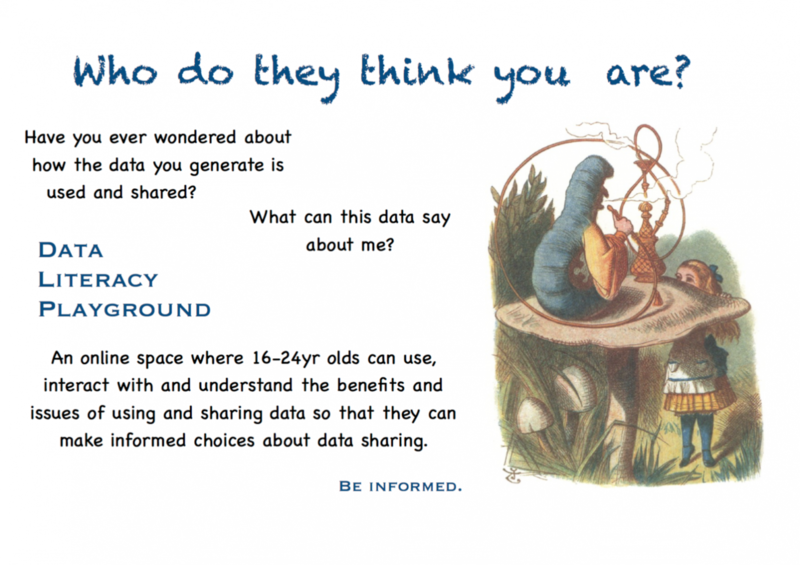 The Data Literacy Playground will be an Open Educational Resource targeted at 16–24 yr olds. Students and young adults are often asked to sign consent forms, but their privacy rights are really not ever explained to them, they do not always understand the implications of sharing their data. We aim to create an online training environment where this can be explored. The aim is that the playground will have 3 zones: Data and Me, Data and The Academy, and Data and Society. We hope that the zones will contain: data to analyse and play with, along with games and links to related resources such as Lightbeam. We aim to showcase the work we have done so far in developing the playground and the playground project, hopefully receiving feedback on our ideas and obtaining new contributors to the project. This work by Samantha Ahern, Anne-Marie Scott is licensed under a Creative Commons Attribution-NonCommercial-ShareAlike 4.0 International License.